It is never a bad time to visit the beautiful island of Madeira. 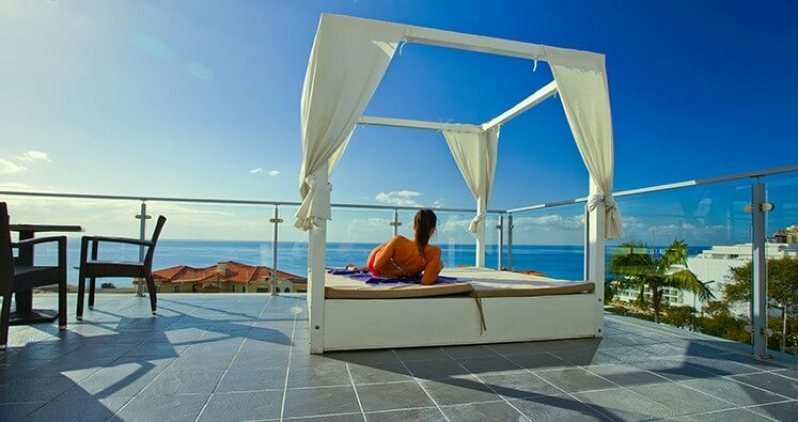 Great nature and climate, lots of attractions and wonderful activities, great food and low prices are some of the reasons that bring so millions of tourists to Madeira. It is difficult not to get lost in this variety, and not to miss anything interesting. To help you plan your trip to Madeira, I’ve created a travel guide with best activities, attractions and food to try here. It will be an unforgettable vacation consisting of (according to your preferences): tasty food, leisure, activities, attractions, tours and amazing views of the island. First, main things to know about Madeira. Madeira is a Portuguese island located not far from the African coast. It is a volcanic island, so the beaches are of black sand. The island is divided into two climatically different parts by high mountains (almost 2 thousand meters). While the north is colder and wet, the south is sunny and dry. They are very interesting in their own ways, so I recommend you visiting both. The unusual and diverse climate and nature make it very interesting to make a tour around the island. Furthermore, I will tell more about how to explore Madeira in the best way possible. The population of the island is about 270000 people, 110000 of which live in Funchal, capital, where also most of the hotels are located. Madeira doesn’t have many plain places, where an aircraft could land, so there is only one airport here, the lane of which became long enough not to be dangerous only thanks to huge concrete pile foundations. Nowadays, the Cristiano Ronaldo International Airport (named after the famous football player that was born here) receives around 3,200,000 passengers yearly. Another way to get to Madeira is by a cruise liner. The liners come to the port of Funchal, capital of Madeira. Now, it is time to tell you about the best places to visit in Madeira. There are many amazing points of interest in different parts of the island with great views, food, activities or some other reasons to visit them. To make it easier for you, I chose 5 best places in Madeira. 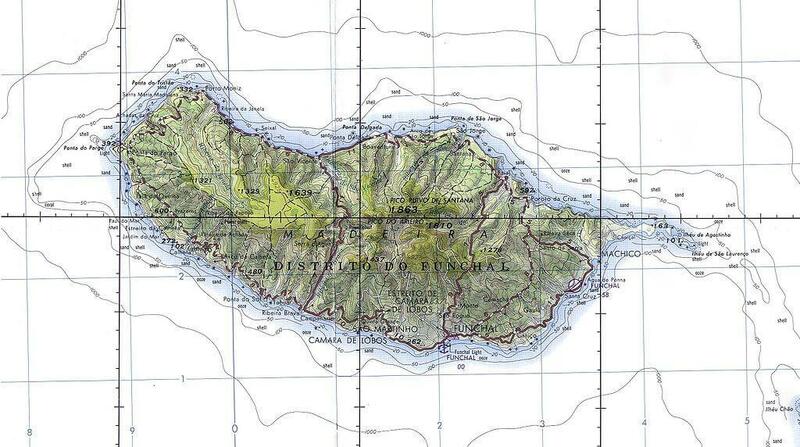 Further, I will tell you about attractions in Funchal. Visiting points with great panoramic views is awesome. 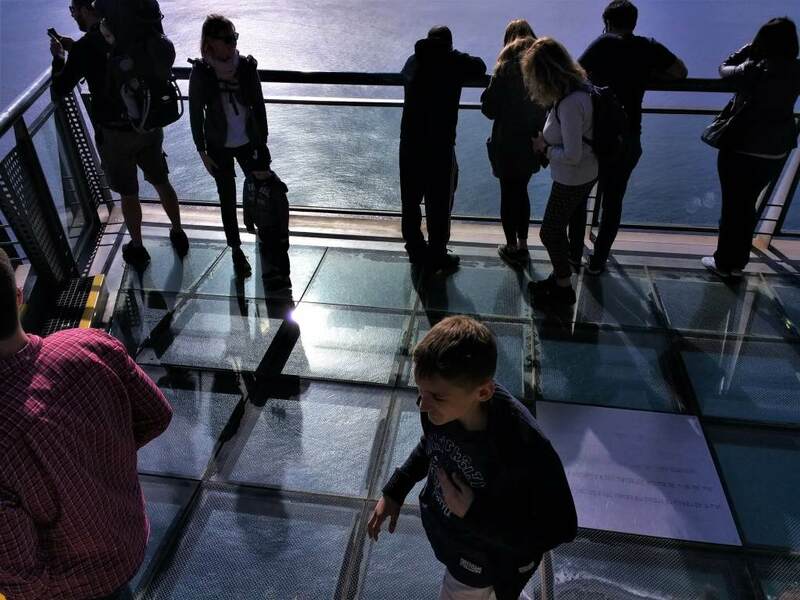 But, have you ever been on a glass platform about 600 meters above the sea surrounded by incredible beauty? 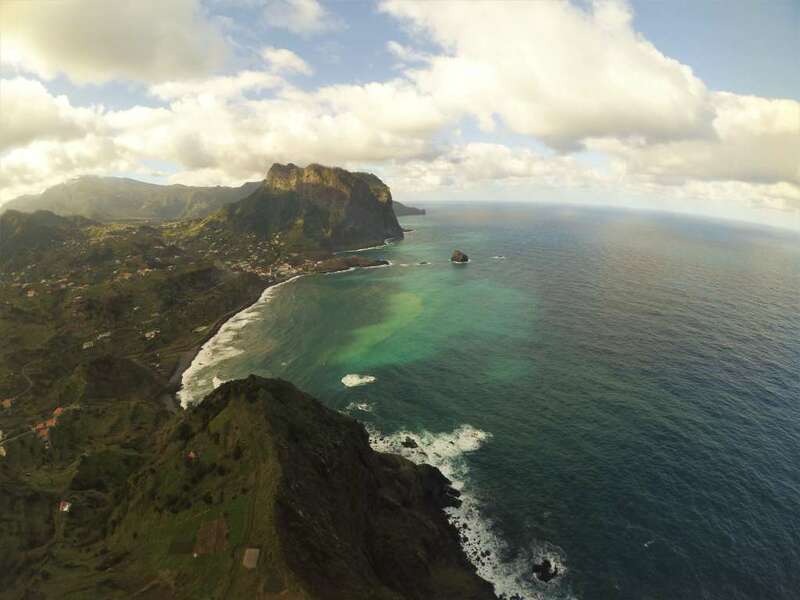 Cabo Girao is one of the greatest attractions and special places in Madeira. This place is easily achievable by bus or taxi from Funchal. If you are not too lazy, you can even walk up there. It will take about an hour. The third highest, but in my opinion, the most beautiful peak on the island (1818 meters, or about 6000 feet) will make you feel in the heaven with clouds below you. Here, you can make some amazing pictures with the bright sun and magnificent mountains above the curly clouds. The north-west tip of the island also has some of the greatest views that you shouldn’t miss, if you visit Madeira. The town has a very low population, but it the place is famous for its natural beauty. 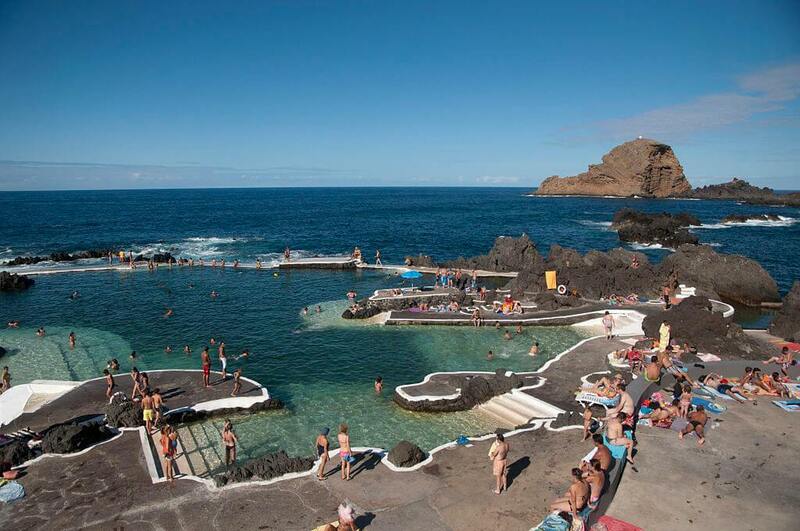 Visit Porto Moniz at least for its unique complex of lava pools that are so popular among tourists. You can also get there by bus, or as a part of jeep tour around the island. Santana is one of the biggest towns on the island, but it is very different from Funchal. It is much more relaxed and colorful, more traditional and less touristy. It is famous for its theme park and the colorful traditional stone houses with steep thatched roofs. The town is located close to other popular places in Madeira, so you can make a trip (or take a tour) to visit some of them. 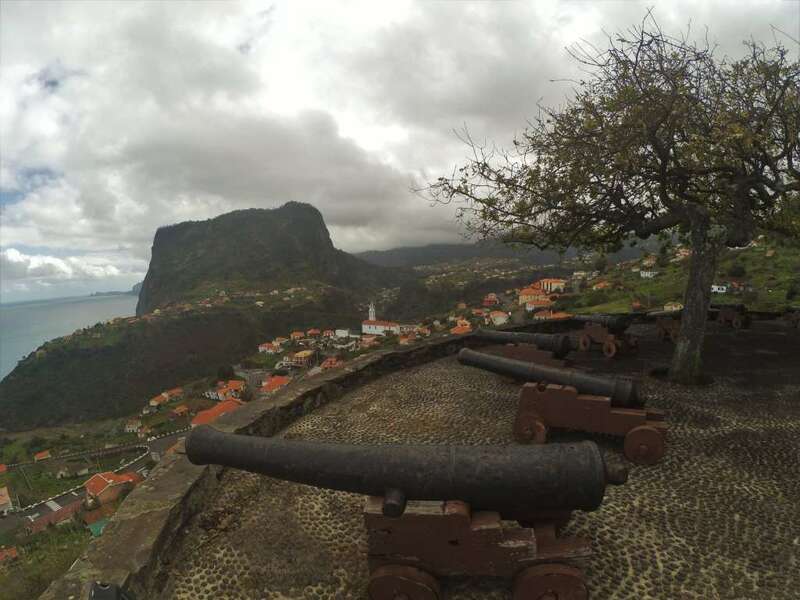 Last of the top 5 places to visit in Madeira is Machico. This town is located right near the airport of Madeira, so it can become the first or the last town you visit on the island. Machico is one of the few places with white sandy beach (of course, the sand was brought from elsewhere). It has some of the nicest views to the town and the coast. 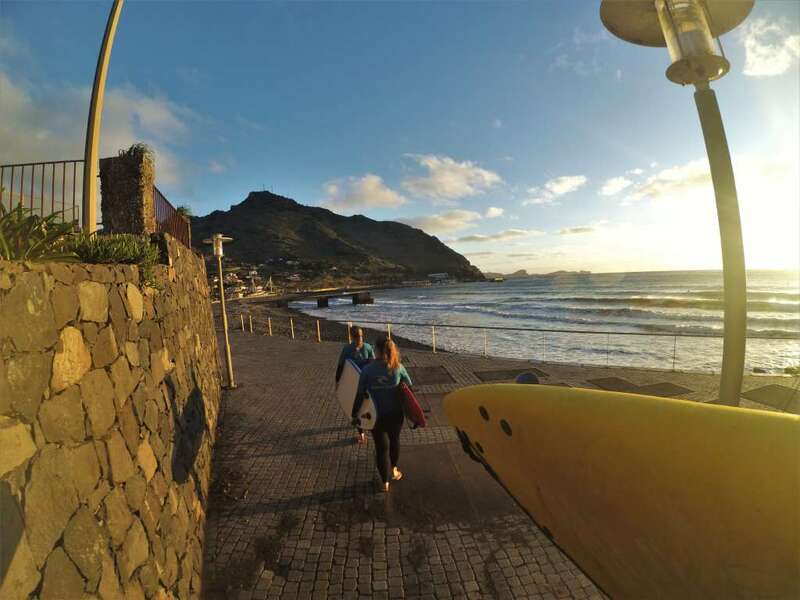 Another unique feature about Machico is that it is sandwiched between the mountains, so unlike other towns on the island, it only has a small part near the coast, while the rest of the town goes deeper into the island. It was difficult to choose just 5 best places that you should visit in Madeira. It has many unique and interesting spots, and each has something special. So, I will just mention the cities that you need to see if you have enough time on the island: Porto da Cruz, Sao Vicente, Seixal, Ponta Delgada, Santa Cruz. 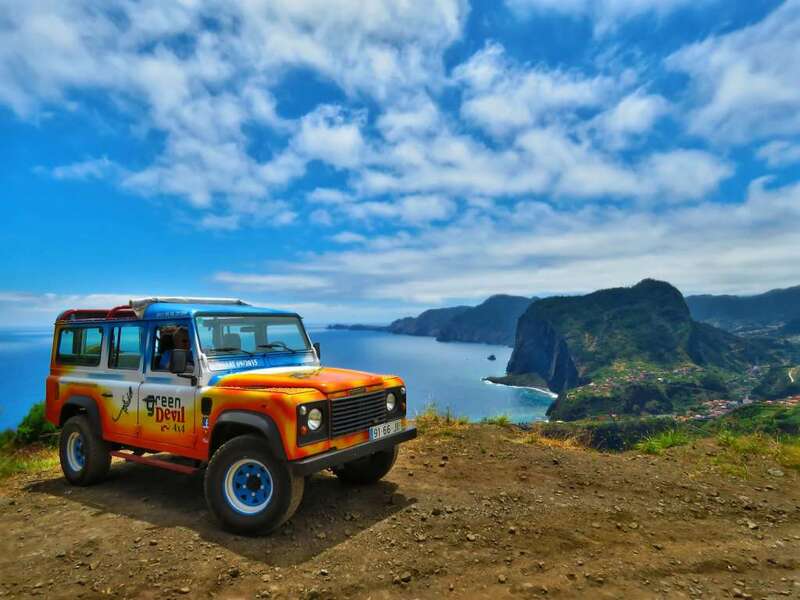 You can visit most of them as parts of jeep tours that are very popular in Madeira. If you are a football fan, or you just like that famous football player, visit the museum of Cristiano Ronaldo called Museu CR7. It is centrally located in the harbor of Madeira, and costs just 5 euros to enter. Located on the mountain, the Botanical Garden of Madeira features a large collection of exotic plants on the area of 8 hectares. You can get there by a cable car. You can save some money if you buy a 2 in 1 (cable car + botanical garden) ticket for 7,75 EUR, or get there in a different way, and pay just 3 euros to enter the garden. Walking around the city, you might pass by a nice church in the colonial style in the city center. It is the building of the cathedral of Funchal, which is free to enter. 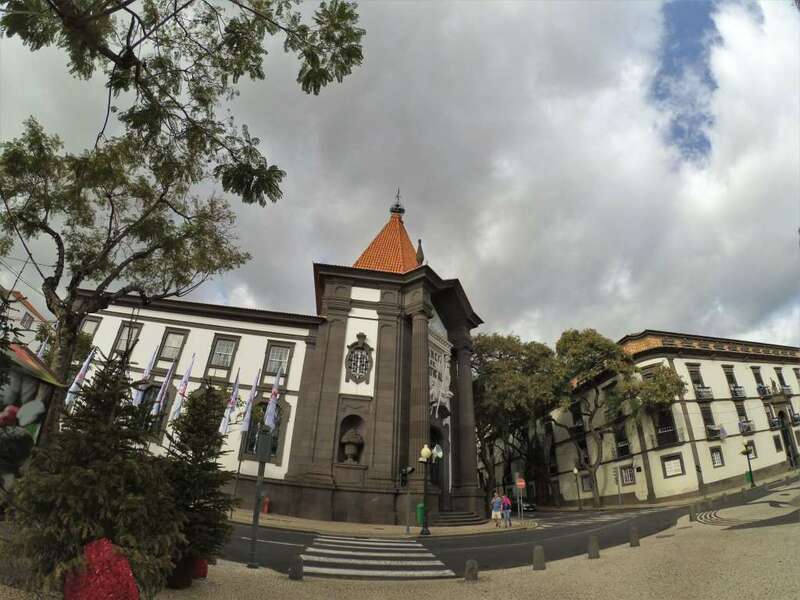 Although, Madeira is not the best place for art lovers, people that cannot live without arts, can visit the house-museum of Frederico de Freitas, and enjoy his collection of decorative arts for just 3 euros. This museum is created on the place of a former power station, and tells about the history of light, and electricity in Madeira, showing various machines that were used before, and some that are still used nowadays. The entrance costs just 2 euros. 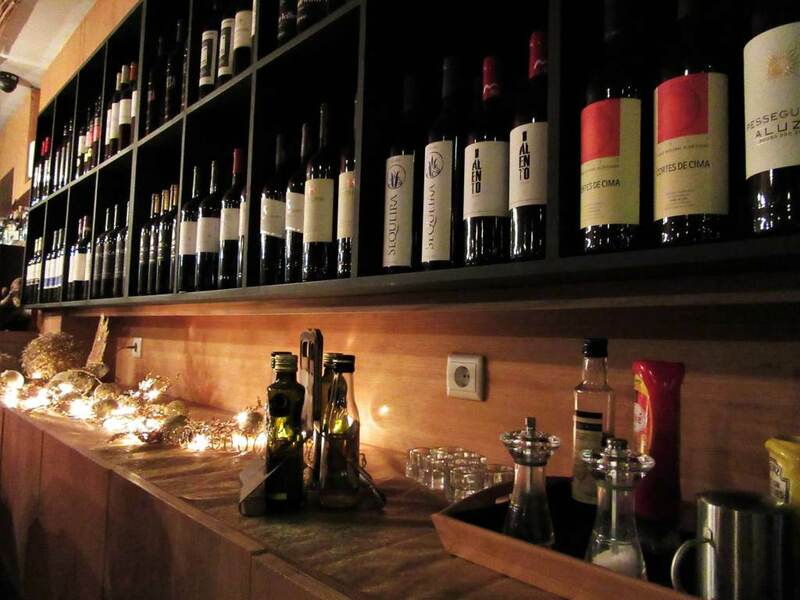 If you are a fan of wine, you should definitely try the local wine called Madera. It is similar to the wine of Porto, but has some special features. To learn more about the company producing this drink, visit the Museum of Madeira Wine Company. 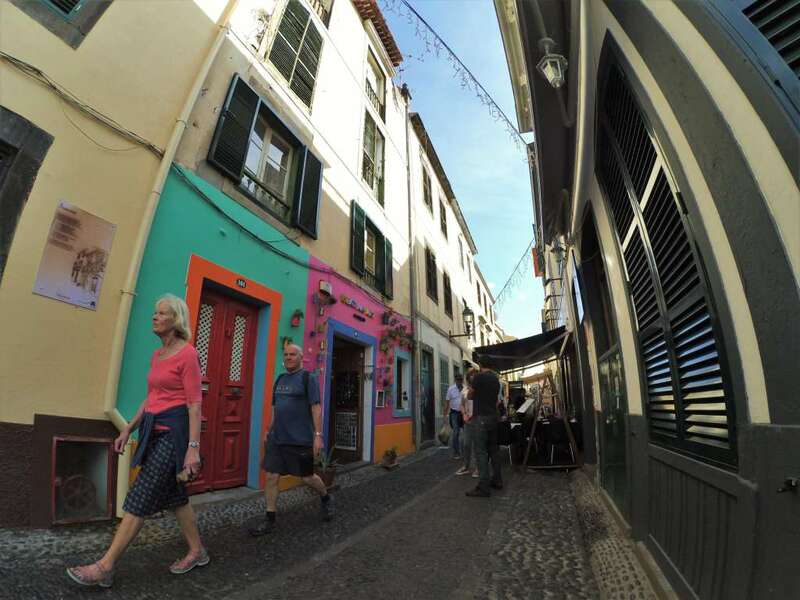 Although Madeira is more a resort than a place full of historical sights, the old town of Funchal is a place definitely worth visiting even if you stay on the island for just a few days. Walk around the small streets of the historical quarter, and visit some local places at night. Highly recommended! 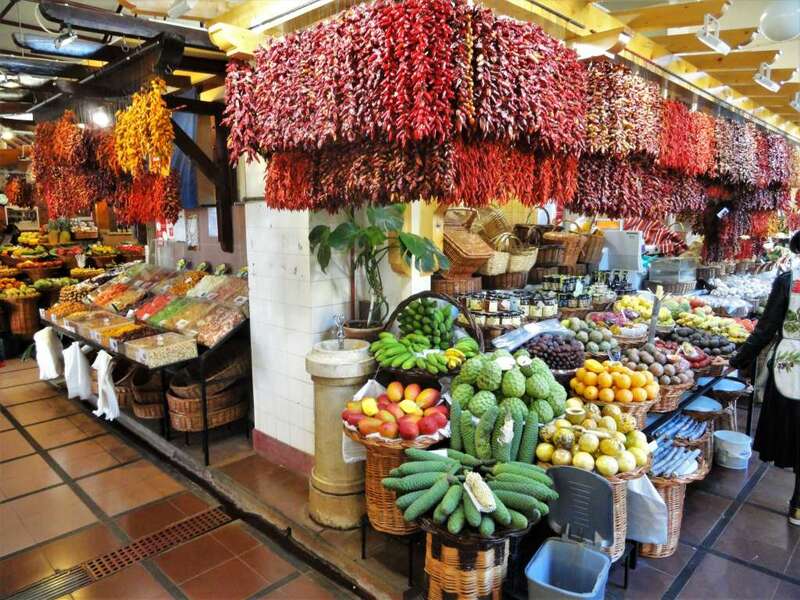 At the western border of the old town, you will probably notice a nice market called Mercado dos Labradores (Farmers’ Market). But, take into account that it is not very popular among locals anymore. The market became a tourist spot, where the vendors try to give you some free samples of tasty and unusual fruits, and sell some of them for the price 4 or 5 times higher than in the supermarket. Despite this common tourist trap, the place is good if you want to buy some local food or drinks, or just have a coffee with pastel de nata in the local café. Madeira doesn’t have long sandy beaches as most of the resorts, so you might prefer taking sunbaths on the grass than sharp black stones of the coast. 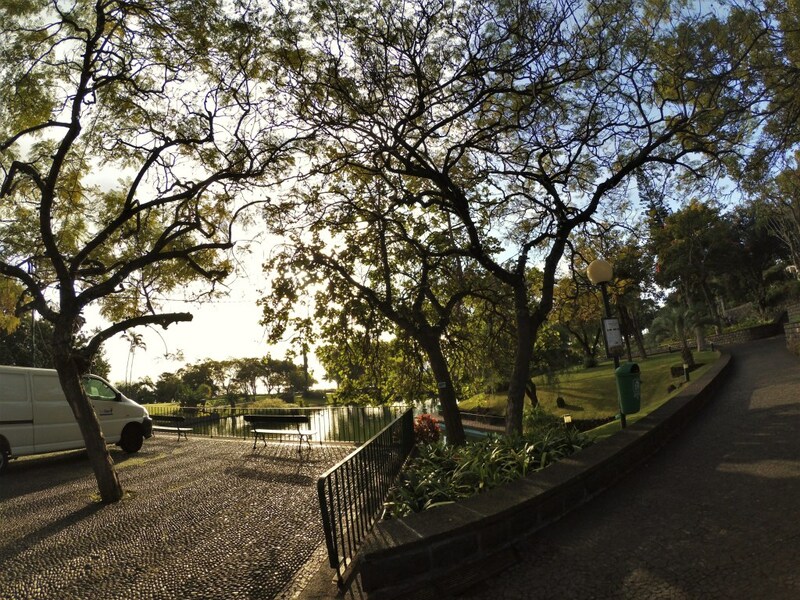 One of the best places to do that and at the same time to rest from visiting Funchal’s attractions is Santa Catarina Park. If you are a fan of gambling or just want to find out, why so many people love this kind of activity, visit the casino of Madeira, unusual white building that rather looks like a theater than a casino. 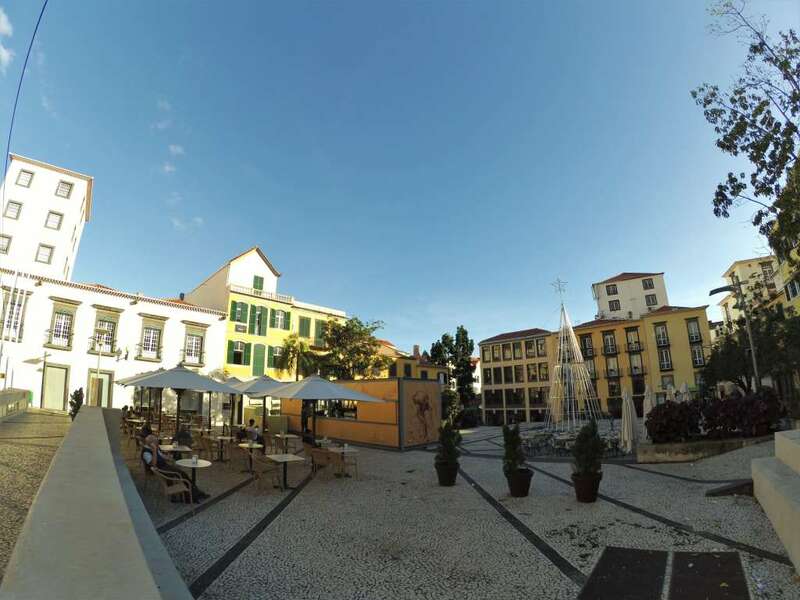 It is located in the center of Funchal, close to most of other attractions of the city. Probably, the best way to explore the island is using the services of jeep tour companies. There are many of them, and they all organize different kinds of tours. The one company that I recommend is Green Devil Safari. They have unique routes, and very experienced and knowledgeable drivers that can show you even more than is included in the tour. Their idea is to make you feel like a local, not just to make big group tours to the most typical places of the island (which is my travel philosophy). Although Madeira has many mountains that can be hard if not impossible to cross, there are many places, where you can ride a bike near the coast or in the city without sharp ups and downs. Moreover, you can rent an e-bike or a scooter to make it even easier. 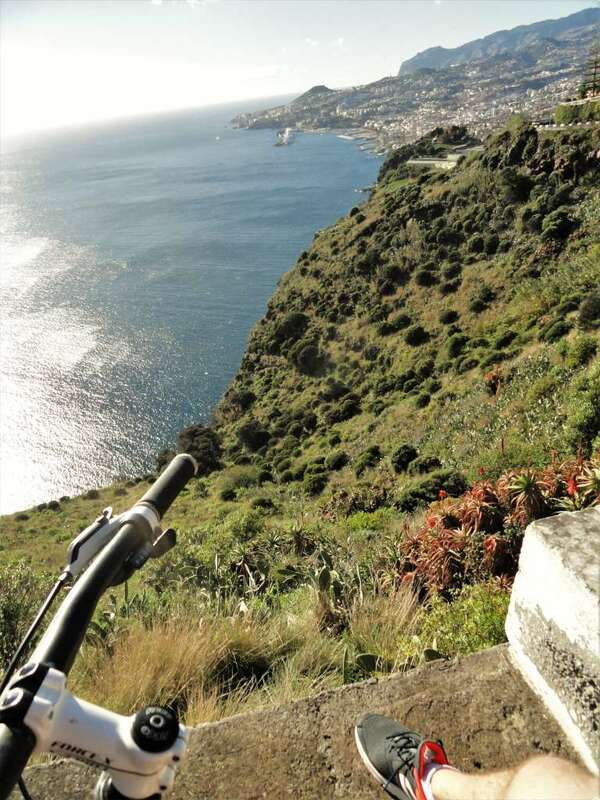 The company I recommend is E-Bike Madeira located in Funchal. They have a big choice of bikes and e-bikes, the guy working there is very friendly and will gladly share all information you need to plan a trip. 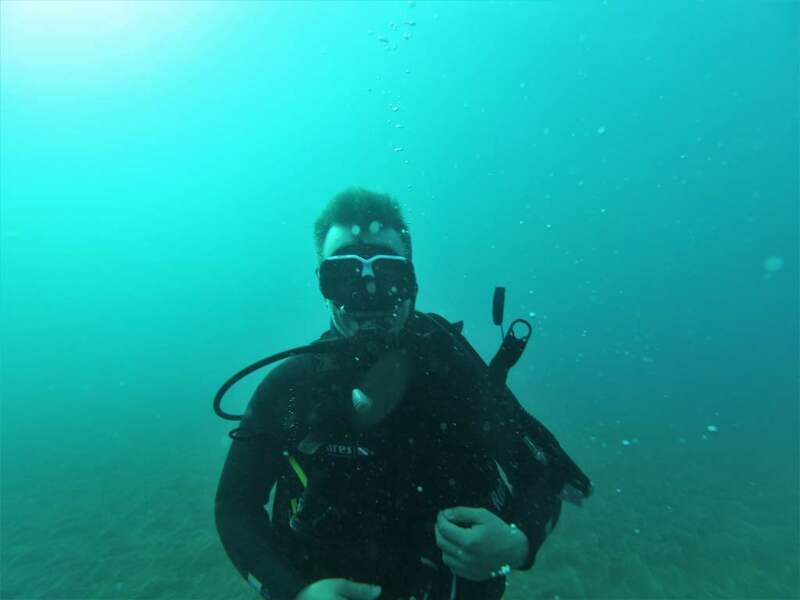 Snorkeling or Scuba diving are also great ideas when you are on the island. Madeira was the first place, where I tried the second one. And, it was great. I thought it would be scary carrying a huge oxygen balloon and going under water with it, but it wasn’t at all. It was very relaxing, and now it is one of my favorite activities. Surfing is one of the most popular activities among younger people on the island. While older people visit the city, gardens, and take different tours, the young people go surfing. There are many places, where you could go surfing on the island, and the surf schools having one location use their vans to move to the places with better waves, so I just suggest contacting one of them to know where to go. You can also rent a car and drive around the island on your own. But, I should tell you that because of the sharp inclines and curves of the roads, it may be very difficult to drive in Madeira. The jeep tour and taxi drivers are very experienced locals that will definitely surprise you by their high driving skills. Hiking is also a very popular activity in Madeira. If you are not afraid of high mountains, I recommend you doing it on this paradise island. 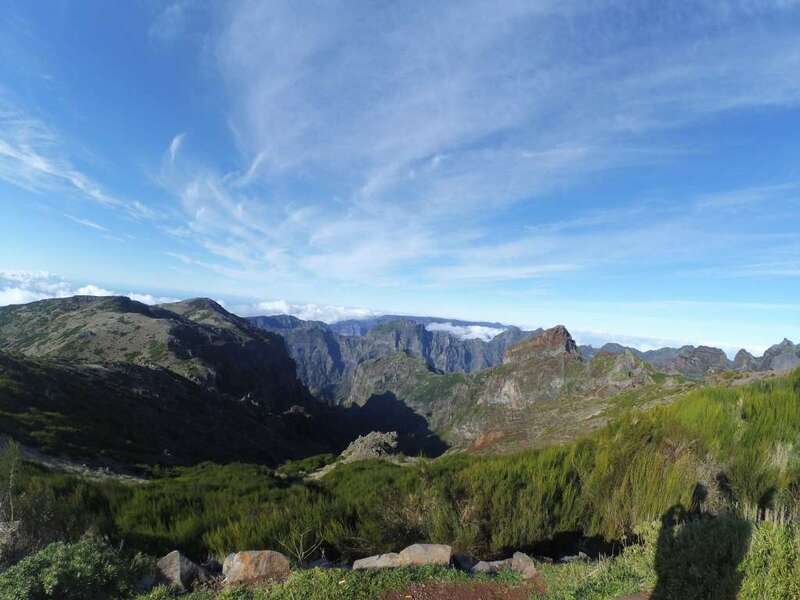 There are many hiking trails on the island, and you can check them on the visit Madeira website. 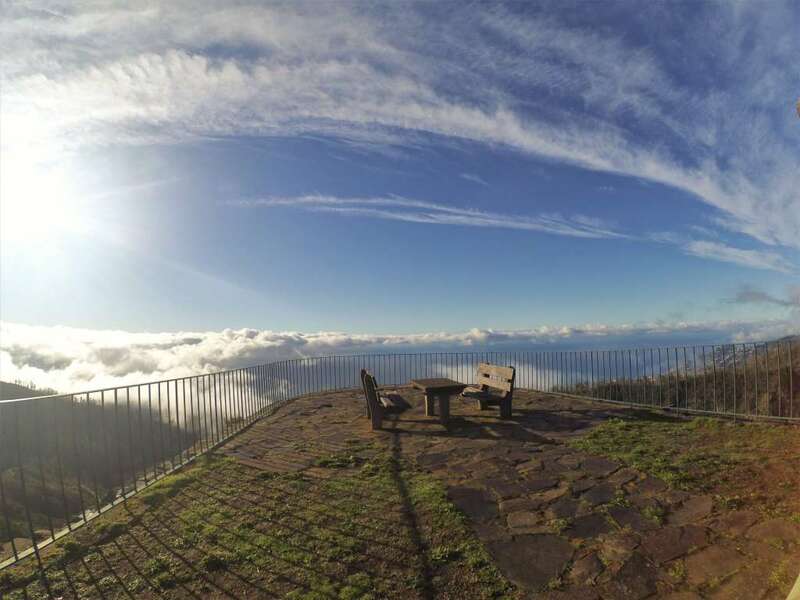 Perhaps, the most popular ending point of a hike is Pico de Ariero. 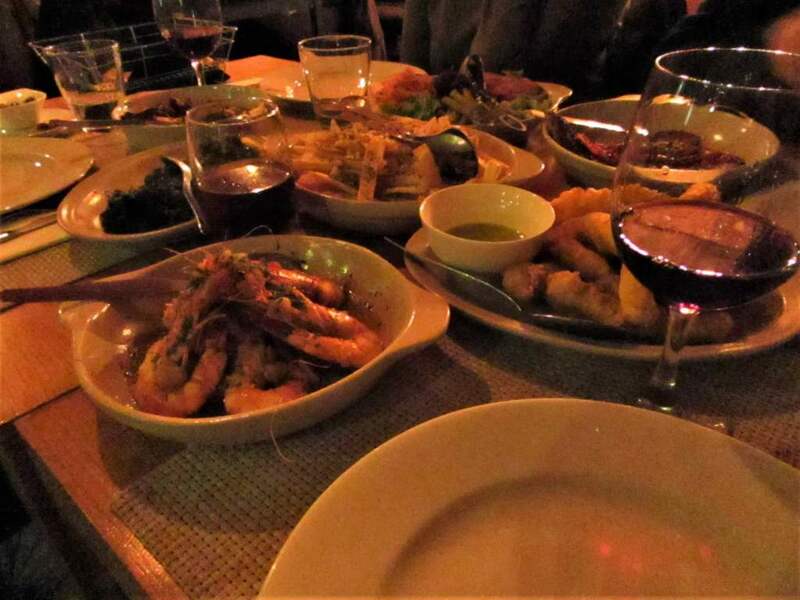 If you are on Madeira, you definitely should try some of the greatest dishes the island has to offer. As it is an island, most of the traditional food is seafood. Some of the best fish to try is codfish, tuna and black scabbard fish. It is cooked in different forms and by different recipes. In each restaurant, you will get a different one, and you will enjoy most of them if you like fish. If you don’t there are also many tasty dishes out of pork here. The traditional Madeiran bread (that is usually regarded as a street food) called bolo do caco would be a perfect complement. Like fruit? You should try some of the unique kinds of fruits that were derived here. English tomato, different kinds of passion fruit, a hybrid of pineapple and banana, mangos and papayas are just some of them. 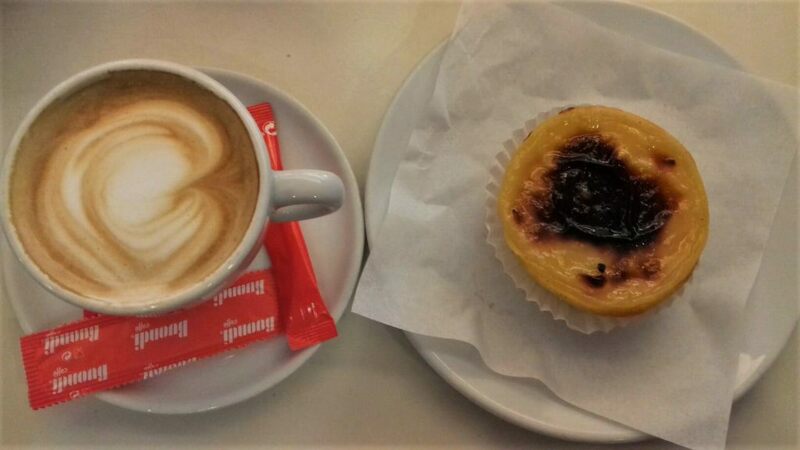 If you’re looking for a dessert, the traditional Portuguese dessert Pastel de Nata beloved by many along with the greatest coffee would definitely make your day. If you feel too hot for this kind of snack, go for Italian ice cream. There are many ice cream stalls in the island. If you live in Funchal, I recommend you Ottavia Gelateria in the town center owned by a genuine Italian (that almost doesn’t speak English) and has some of the best ice creams I’ve ever tried in my life. If you want to try some local alcohol, try Madeira wine, which (as I already said) has a similar taste to Porto wine, sugarcane rum, and poncha, drink based on the same rum and fruits like oranges, lemons and passion fruit. 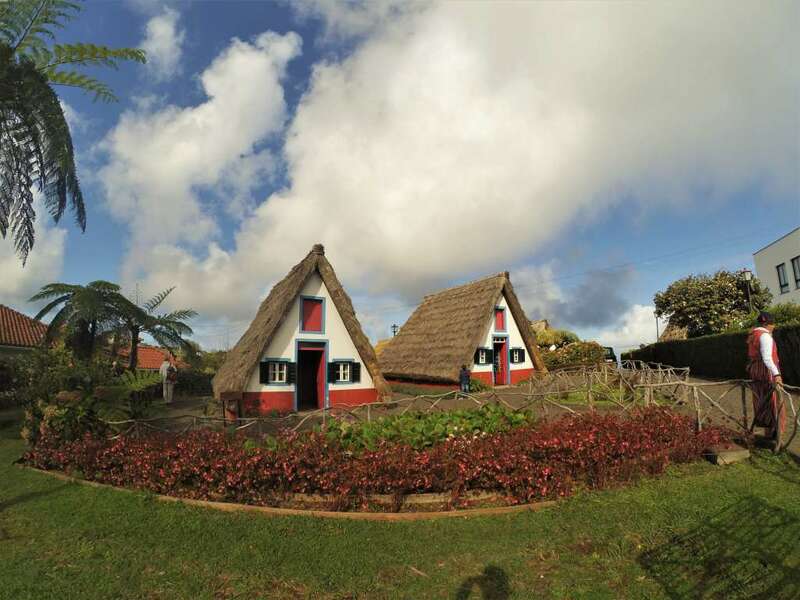 Madeira has a great choice of different places to stay from cheap hostels to great 5-star hotels. First one is Muthu Raga Madeira Hotel. It is a newly refurbished hotel with contemporary styled rooms, enchanting views, outstanding food and a wide range of facilities. It is located in the center of the prestigious Lido area with direct access to the Lido swimming pools, sea and the scenic promenade. Here, you also have access to local areas where popular feasts that take place all year round. So, you have an opportunity to appreciate traditional gastronomic flavors of Madeira. Another hotel that I recommend is Four Views Baia. 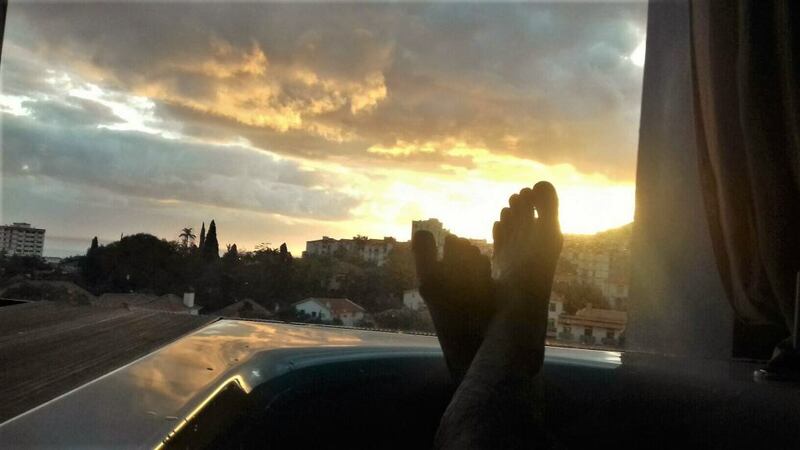 As you could have guessed from its name, it has some of the greatest views of the island, so you can enjoy the 180-degree view of the sunset chilling in your Jacuzzi. Some of its main features is being a bit aside from the most touristic places, which allows you to enjoy the tranquility of the island without leaving the town of Funchal. Of course, it also has a great choice of dishes in its restaurant, many sports facilities, parks and numerous events. 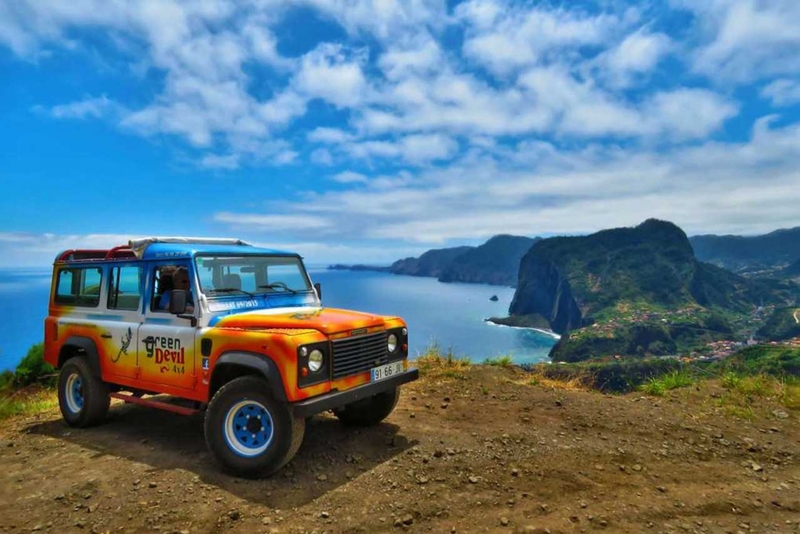 It was my Madeira travel guide with the best things to do on the island, food and activities to try and most beautiful places to visit and stay in. I hope it was helpful. You will also be interested in my Madrid guide with itinerary and a list of the best things to do in Malaga. Have a great trip to Madeira!